This bag tag is for all the baseball fans out there. 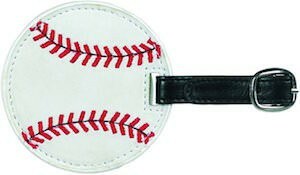 The luggage tag is round just like a baseball and even has the red stitches on it. It’s made from synthetic leather to look real but of course is flat like most luggage tags. Inside you find an ID card that can hold all your info so that you never have to loose you bags again. Beside for a suitcase this luggage tag is also great for your sport bag or even you backpack for school. 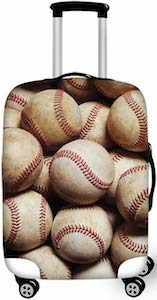 Make it easy to find you bag as a baseball on it makes it easier to spot and as it has you name people will know that it’s not theirs but yours.